The entry level GS 300h is very impressive with up to 64.2mpg returned. The GS 450h 3.5 litre V8 engine option can power the Lexus GS to 62mp in under 6 seconds. The interior is well laid out with the focus being on the 1.3-inch screen that controls all the major functions the driver will need. The interior feels luxurious and very much Lexus like with comfortable body hugging seats. The boot space is ample at 450 litres, more than enough for this executive 4 door saloon. Find out just how much you could save on the Lexus GS with one of our Coast2Coast Cars Lexus franchises. You could potentially save a fortune from list price of your new car just by using our online quote solution. 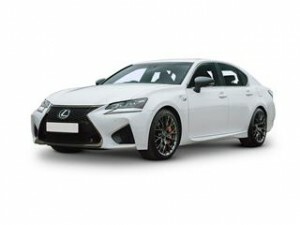 Just spec and build the Lexus of your choice and we take care of everything else, displaying deals and money saving options with no obligation at any time. It’s a no brainer when you’re looking for a new Lexus GS. Finance can also be arranged too via the dealer direct subject to status with the excellent Lexus financing options, ask your dealer for more information.